Some of you may have seen my post on Facebook or maybe you already heard elsewhere, but this is for the rest of you. Balboa Park is finally offering annual passes! With the Centennial coming in 2015, it seems about time that Balboa Park caters more to residents and not just to tourists. Yes, we've enjoyed Free Tuesdays, but they're crazy now, with herds of people, school field trips, and strollers jamming into museums during their already limited hours on a one time a month rotating basis. Forget about it if you work a day job. And Balboa Park had multi-museum passes targeting tourists, but they're expensive. I use my San Diego Zoo pass almost weekly...sometimes I want to commit to a whole day, sometimes I just need some time to think and take a ride in the Skyfari, and most of the time I'm there for some fresh air, exercise, and sunshine for a couple hours. Now that Balboa Park is offering Explorer passes, I can pop into a museum anytime and for any length of time and feel like I'm getting my money's worth. You can also buy Gift Vouchers and knock out your Christmas shopping in a few clicks! And since I went into the Visitor's Center to purchase my pass today, I'll say that if you can wait the 5-7 days for your cards, just order online. If you want to go to museums immediately, go in the office, they'll have you purchase online at their old computers, and they'll give you printed booklets valid for one week with a single pass for each museum. The employees/docents/volunteers are extremely courteous, but the Explorer passes were just announced last week, so they're overwhelmed. If you can wait, just buy your own passes online. The U-T apparently misprinted and said a family pass was up to 4 adults and 4 children. Not so. "Children" are ages 3-17, so your infants and toddlers are fine (though if they're turning three within a year, you'll want to get them their own cards). Adults are 18+. If your "child" is actually an adult, they might qualify for the student pass, or as your second adult, but otherwise will require a full adult pass for $129. In the short time I was in the office, you wouldn't believe how many people were already gaming the system. They don't question your "family" unit, but don't try and work them. Lastly, many of the museums offer gift shop discounts and special mailers, events and newsletters to their members. The Explorer Card does NOT give any of the perks- no discounts, special exhibits, private event invites, guest passes, etc. If you have the dough, support your favorite museum or museums individually. This is for people who live on the cheap like me, and once you get over that initial purchase, you can be broke as a joke and still always have a place to go. I can't wait to take our first bike outing to museum hop with my little familial unit. 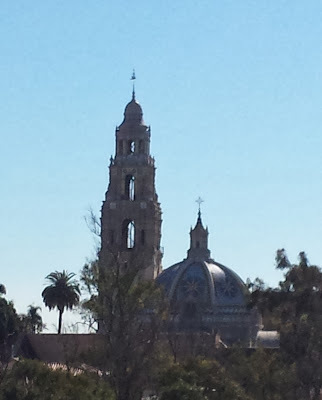 For more Balboa Park information, click here.